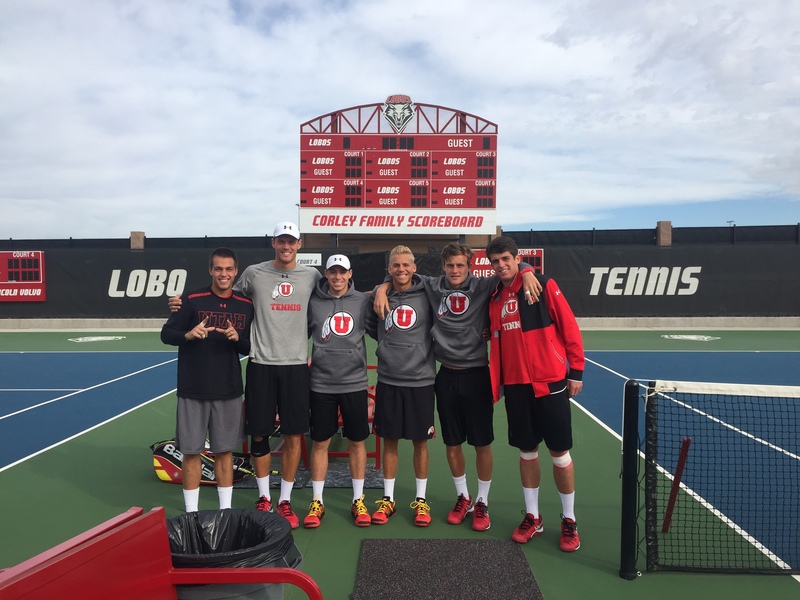 Albuquerque, NM – Six Utes will represent the U at the 2015 ITA Regional Championships in Albuquerque, New Mexico this week. The tournament is set to start Wednesday with one round of doubles and two rounds of singles, but bad weather might change things. The Utes received 5 seeds in singles; Parker McGuiness (#5), Dan Little (#8), Freddie McGeehan (#15), Egbert Weverink (#23) and Matt Cowley (#26) all received first round byes. Sophomore Santiago Sierra will be the only Ute to compete in the first round. The Mexico native will face Peter Mimnagh-Fleming (Montana) at 9.30am. In doubles play, unseeded Santiago Sierra and Freddie McGeehan will face David Fox and Jesse Ruder-Hook (Denver) in the first round. No. 5 seeded Egbert Weverink and Matt Cowley, as well as No. 6 seeded Parker McGuiness and Daniel Little have a bye. A copy of the draw is available here. This entry was posted in Schedule/Results and tagged Albuquerque, Dan Little, Egbert Weverink, ITA Regionals, Matt Cowley, Parker McGuiness, Santiago Sierra. Bookmark the permalink.